Tool to support fundraising for nonprofits. Event fundraising mobile giving app that works online & offline, with our donor management software. GiveCentral Go allows you to receive donations in-person at your events, with little or no setup and no additional costs. 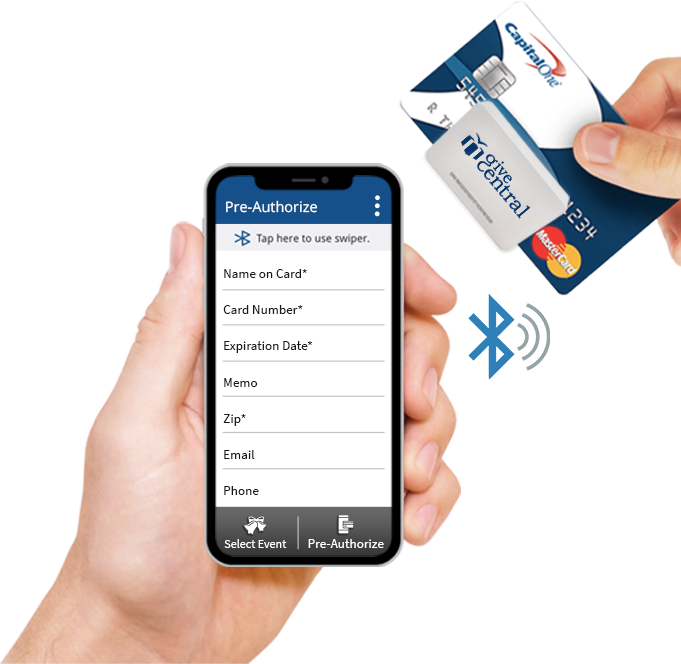 With the use of a small mobile swiper tool that attaches to any mobile device, you can create an in-person donation terminal for all your fundraising events. With the help of GiveCentral, your donors can also pre-authorize their cards to make giving even quicker and easier when they attend your fundraising events. What Sets GiveCentral Go Apart? We pride ourselves on our friendly and expert customer service. Our team is always here to help you. GiveCentral Go is an ideal tool to use during your events. It makes accepting payments quick, easy, and functional. 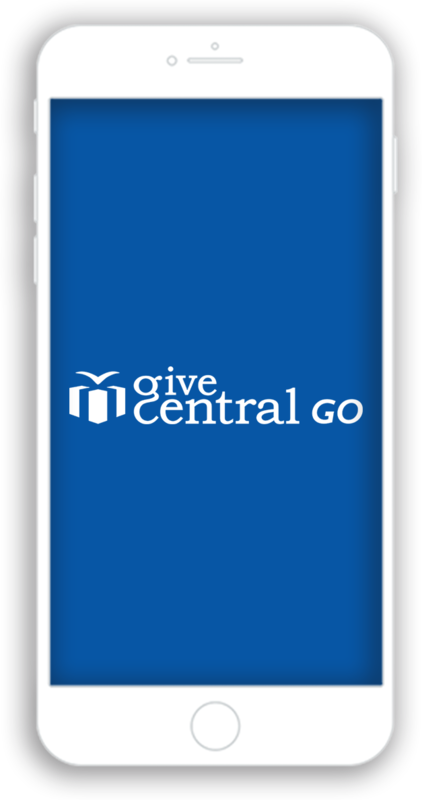 Our team offers friendly, in-person training on how to use the GiveCentral Go app and mobile card reader more efficiently. GiveCentral provides you with a portable swiping device that easily attaches to your phone or other mobile device. Once set up, you have created your donation terminal! Donors can pay for tickets to your specific event either ahead of time or in person. New donor information is immediately stored in your GiveCentral database, making it easier to thank your donors for their contributions after your event and grow your community. How does GiveCentral Go help you? 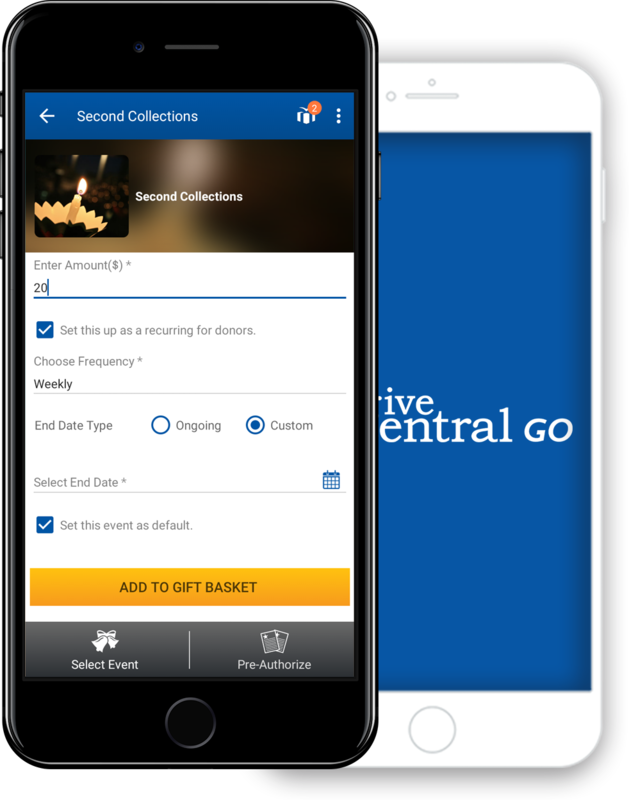 Take a look at how GiveCentral's mobile card readers and app can make accepting donations and payments quick and seamless.